Christmas is almost upon us and we are in full, festive swing! 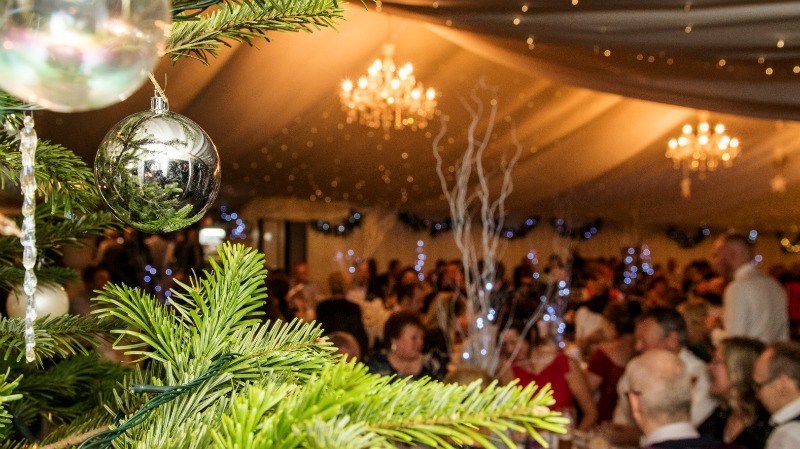 Decorating, hosting some stunning December weddings and preparing for our sold out Christmas Parties this weekend. It is times like this that we remember that The Heath House as we know it today was built for entertaining. Not only are we hosting our annual Christmas Parties with stunning live music from Mis K Copeland (see below), we have recently been the location for a brilliant 40th birthday celebration. The house provided the perfect combination of rooms and spaces for a fabulous celebration. House Parties and Country House Weekends aren’t just consigned to history – still hosting house parties that will blow the socks of your guests. This house was built for entertaining and despite its size is very homely, in fact we encourage all our guests to treat the house and grounds as if they are your own. We can accommodate up to 33 guests in the house and the estate cottage so kick of your shoes and settle in in front of the fire in the Library. Visit our website for details. With parties & festivities in mind, all that’s left is to wish you all a very Merry Christmas and Happy New Year.